Helen Hofer is a Registered Professional Counselor and Practicing Psychotherapist in private practice in Kelowna, British Columbia. Her counseling service, Core Perspectives Counseling, helps individuals, groups and families with a variety of different needs. 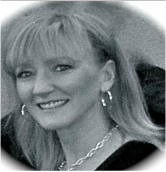 Helen is a member of the Canadian Professional Counselors Association and is certified as a Grief Recovery Specialist. She provided Foster Care for Child and Family Services in Winnipeg, Manitoba, Canada and currently provides Foster Care to the Ministry of Children and Family Development in British Columbia, Canada. She has more than 15 years experience in various settings, including schools, community supports, in home and private practice. Helen has generously volunteered her time to help share your story. If you would like to contact Helen directly, she can be reached at www.coreperspectives.com. Alternatively, please submit the contact form to One Crash is Too Many, and we will contact you to find out how you would like to share your story. How have you been affected by the crash? How has the crash affected your driving today? What message would you like to leave for those reading your story? Would you like others to be able to connect with you?